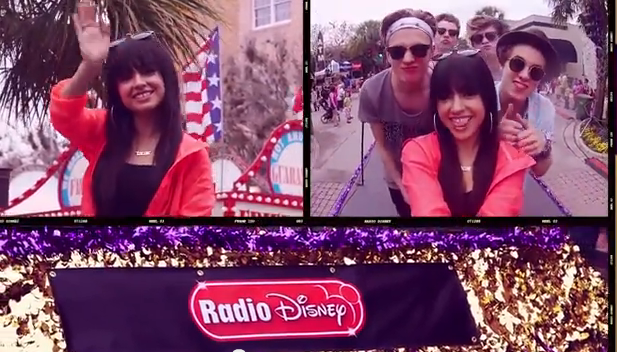 Radio Disney has just shared a very funny new video today, May 4th. At the RDMAs many stars picked from the jar of random dance moves and they had to do whatever dance move they picked from the jar. Some of the moves included the wave, the sprinkler, and the chicken, but don’t worry there were many more moves in the jar. 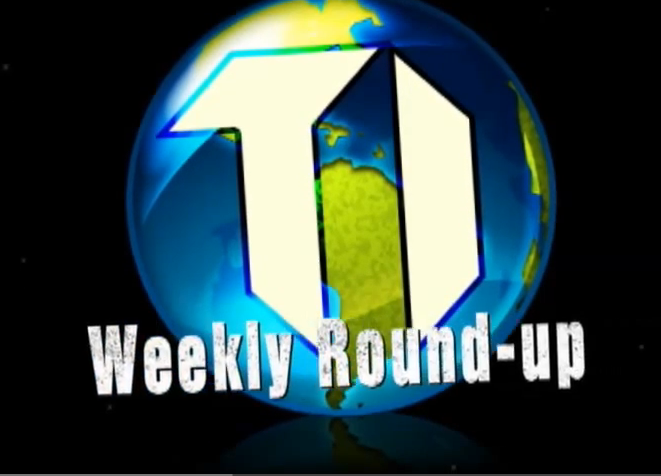 Watch the video below to see some stars show off their moves! Demi Lovato Thanks Fans For Her RDMA Award In Acceptance Speech! The 2014 Radio Disney Music Awards took place this past weekend on Saturday, April 26, 2014 but the awards show didn’t air until yesterday. Many stars came together to celebrate music and accept awards for their accomplishments. Unfortunately, Demi Lovato was unable to attend the RDMAs since she is currently on her Neon Lights Tour but yet she won the award She’s The One – Best Female Artist. Demi was nominated for the category along with Katy Perry and Taylor Swift but Demi was able to take home the award. Even though Demi was not physically at the awards show, the star made sure to create an awesome video thanking everyone for the award. Demi also won the Hit The Road – Favorite Roadtrip Song award. In case you missed it, check out Demi’s acceptance speech by watching the video below and let us know what you think by commenting! Elias Washington joined all of Hollywood’s youngest talent yesterday at the Radio Disney Awards for the second year. Keep a look out for him in the up and coming film The Red Barn where he stars as “Jr” and directed by Precious King. Mollee Gray On RDMA Red Carpet — Get Her Look! Mollee Gray hit the red carpet last night at the Radio Disney Music Awards. Her outfit of choice was very fashion forward and she looked absolutely stunning. She was seen wearing a Robert Rodriguez skirt and crop top with Stuart Weirzman heels. She paired her outfit with a metalic blue Farbod Borsun clutch. Check out her outfit below! Lucy Hale Romps On The Radio Disney Music Awards Red Carpet — Check Out The Pics! Presenter Lucy Hale had a romping good time on the Radio Disney Music Awards red carpet on Saturday evening (April 26) at the Nokia Theatre L.A. Live in Los Angeles, CA! The 24 year-old actress and rising country music star arrived in a lovely watercolor flower-print romper topped with a pink moto jacket with a scaly texture. Her shiny silver sandals, clutch, and jewelry caught the sunlight as she posed for the eager photographers. Zendaya: Dreamy On Radio Disney Music Awards Red Carpet — Check Out The Pics + Get Details On Her Look! Nominee and performer Zendaya Coleman brought her fashion A-game to the Radio Disney Music Awards red carpet on Saturday night (April 26) at the Nokia Theatre L.A. Live in Los Angeles, CA! Zendaya appeared to float on her airy white Peter Pilotto crop top and skirt, with floral detailing and fluffy aqua and yellow patches that seemed to trail across the the skirt like clouds. She accented the skirt with aqua Louboutin pumps, a metallic Vivienne Westwood clutch, and Jacob and Co. jewelry. 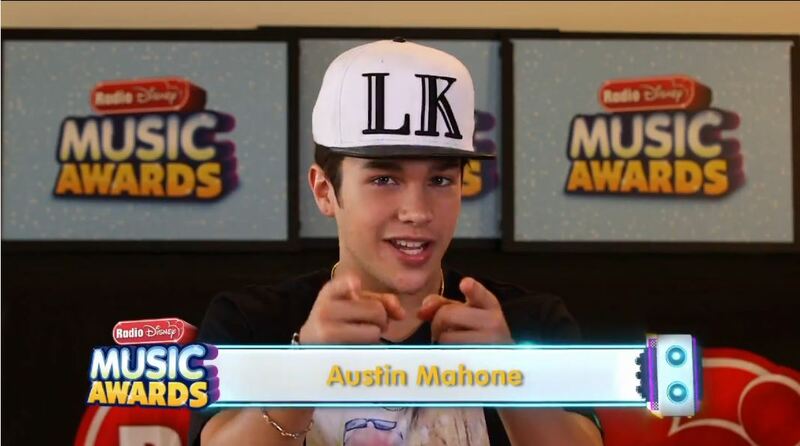 Tune in to the RDMAs on the Disney Channel on Sunday night (April 27) at 8:00 p.m. ET to see her perform and possibly take home some ARDYs! But first, check out the UHQ pics of Zendaya’s gorgeous red carpet look in the gallery below and let us know if you agree with Kelly Osbourne, who named Z one of the best dressed of the night! Fifth Harmony Is Ready For The RDMA’s! Fifth Harmony was hard at work today preparing for their performance at the Radio Disney Music Awards tomorrow, April 26th. The awards will air on Disney Channel this Sunday at 8/7c. In the mean time check out the photo above of Fifth Harmony in rehearsal today for tomorrows show! Austin Mahone Announces His Performance For The Radio Disney Music Awards! Austin Mahone made a huge announcement today with the help of Radio Disney. The star announced that he will be one of the many artists performing at the 2014 Radio Disney Music Awards which are scheduled for Saturday, April 26th and will take place at the Nokia Theater in Los Angeles, California. Check out Austin making his super fun announcement by watching the video below! We sure can’t wait to see Austin perform and we wonder which song he will be performing! Any guesses? Radio Disney has been On the Road to the RDMAs for quite awhile now, stopping in many different cities with great talent like Before You Exit, Megan Nicole, Alex Angelo and so much more. Their first stop was located in Orlando (back in February), where Candice of Radio Disney caught up with Becky G and The Vamps for a sit down. She hears about Becky G’s day and what The Vamps think of the United States. Check out the awesome video below from Radio Disney Insider as it shows you clips of their performances, the interviews, fans, the parade float and so much more!